It's one thing to call for a ride from a bar to a gallery opening, but it's quite another when your driver offers breath mints to ensure you arrive without boozy breath. 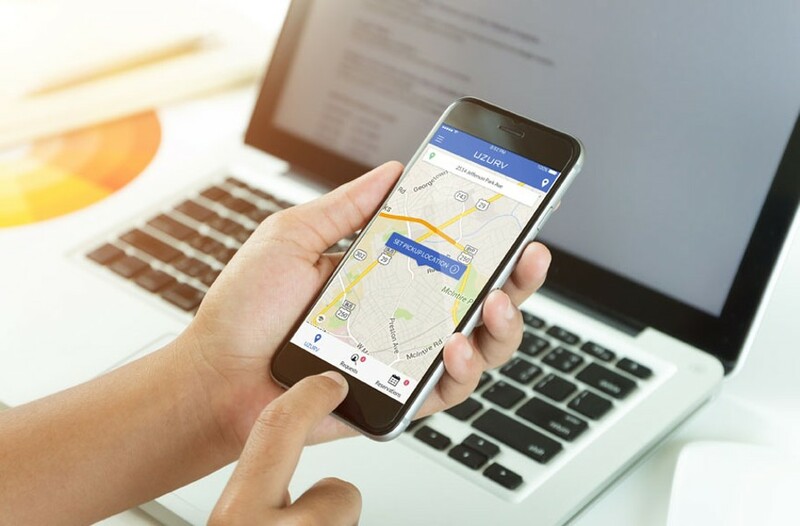 Local app Uzurv has taken the ride-hailing experience and ratcheted it up a notch by offering more personal and consistently reliable service. Launched in 2016, Uzurv is a Richmond-based technology company working as a third party alongside such companies as Uber and Lyft to schedule rides from 30 minutes to 30 days out. Besides being able to schedule month in advance, Uzurv allows potential riders to browse their stable of drivers before making a selection and even favorite a driver so you'll know who's coming to pick you up every time. Need extra reassurance? The app allows customers to chat with their drivers leading up to reservation day so there'll be no surprises, but also allowing for any special requests to be discussed. A major part of Uzurv's appeal is its focus on amenities, so if you're planning to bring Fido or Fluffy, you can reserve a pet-friendly car. Other custom features include cars with large storage spaces, Wi-Fi hot spots and bottled water and snacks to tide you over on your ride.